If you have a fourth or fifth grade student who is interested in joining chorus this year (2017), he or she needs to register before our first rehearsal on September 6th. There are a few ways to register this year. You can either pick up a packet from the front office, print and complete this form, or complete the registration online at this link: https://goo.gl/forms/4rkeAKhL9G97Xib63 (less paper!). Mr. Lindley is really excited to get chorus started back up this year. The group will be doing some new things this year, so he hopes your singer can be a part of it! A.C.T. is a recreational tumbling program that takes place after school on either Monday or Thursday beginning Sept., 7 for ages 5K – 5th grade. Pam Boggs, a former USC cheerleader, and her staff provide a fun, positive, safe tumbling program for girls wishing to learn tumbling skills. All levels are welcome as we individualize for each student according to her ability level. Please do not allow your child to show up for the first class without preregistering as classes may be full before classes begin. For questions, e-mail Pam Boggs at actpboggs@aol.com. As we prepare for the first day of school and a fabulous school year, please note the following important information! We will have staggered arrival times the first two days of school (Tuesday, August 22 & Wednesday, August 23). Please be mindful where you are parking when walking your children into school. Our school is in a neighborhood and we want to make sure you are not blocking our neighbors’ driveways to prevent them from getting to work and home from work. Parents, please make sure to send your children to school on the First Day of School. Your child will be marked ABSENT each day they are not at school. Please contact our Database Coordinator Tonja Hall-Wilson if you have questions. Field Day for Grades K-2 will be Thursday, May 18 from 8:00-11:00. Field Day for Grades 3-5 will be Friday, May 19 from 8:00-11:00. Parents and Grandparents are needed to help with Field Day. Volunteers will receive instructions to supervise the fun and very simple stations between 7:30 and 7:45 in the gym on the day they volunteer. If you would like to join us for the fun or have questions, please email janet.scott@richlandone.org. Please include the day you would like to volunteer in the email. Thank you so much! Our wonderful volunteers make Field Day possible! This is a friendly reminder about student attendance. Please be reminded that students are expected to be on time for school and instruction and that begins promptly at 7:30 a.m. Also, please remember that students cannot miss more than 5 unexcused absences and 10 tardies during the school year. Please work with your child to ensure that they are at school on time and ready to learn. If your child is absent, please email, fax, or turn in a written excuse within 48 hours to the attendance office. Thank you for working with us on your child’s attendance. A fund raiser for Drama and for a keepsake of your child’s performance – and a great gift for a grand-parent or far away relatives! For $6, a DVD produced and delivered to your child at school in a few weeks. 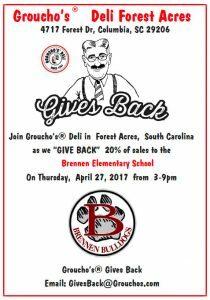 Send $6.00 per DVD – cash or check made out to BRENNEN PTO to Mrs. Trimble, your child’s homeroom teacher or to the office. 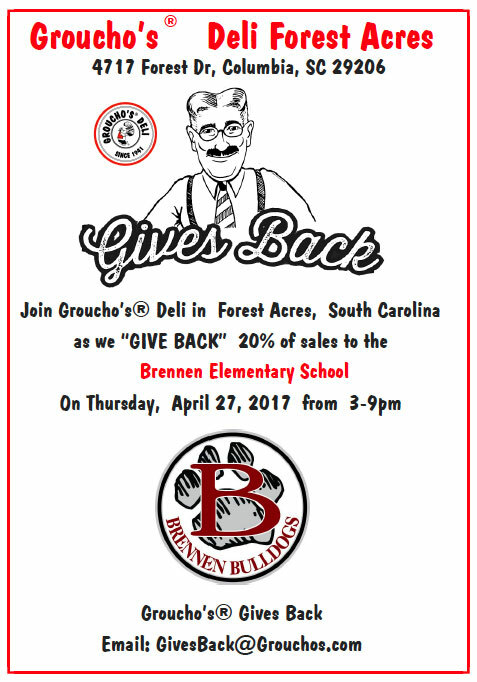 A portion of the proceeds go to the drama program at Brennen. Anything over is donated to the drama program for next year’s productions. Come be a part of the Manners Camp! 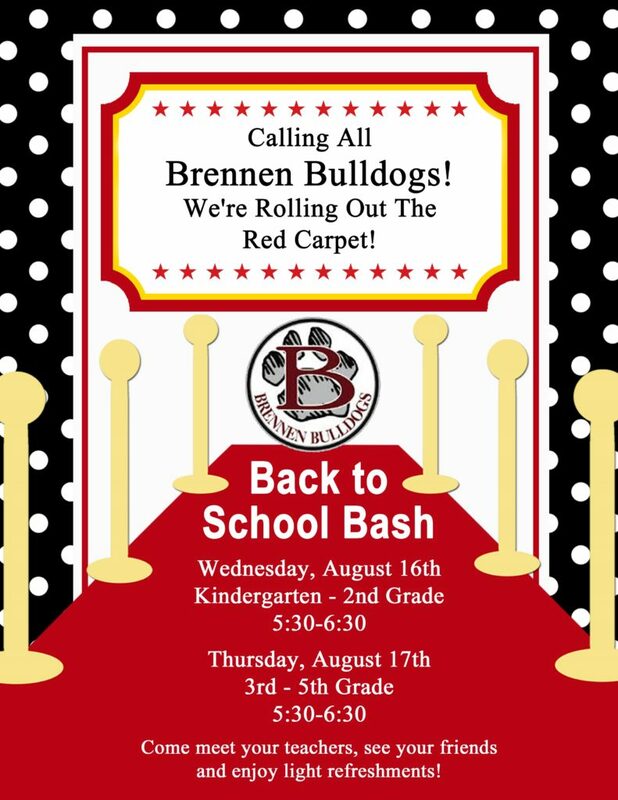 We will be learning about The Golden Rule, R-E-S-P-E-C-T, Speaking Skills, Table Manners and much, much more. The kids will come home reminding YOU to keep your elbows off of the table. And just wait until they learn the Interrupting Rule – I promise you will thank us! We will have a fabulous time singing with Judy the Manners Lady, playing games, making crafts and learning proper table skills. This year we are offering 2 sessions of camp to accommodate more age groups for our manners camp.